What is a Green Lantern? 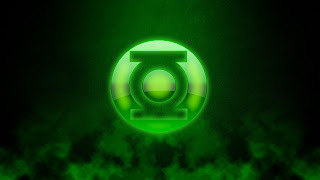 A Green Lantern is an officer of the intergalactic police force known as the Green Lantern Corps. 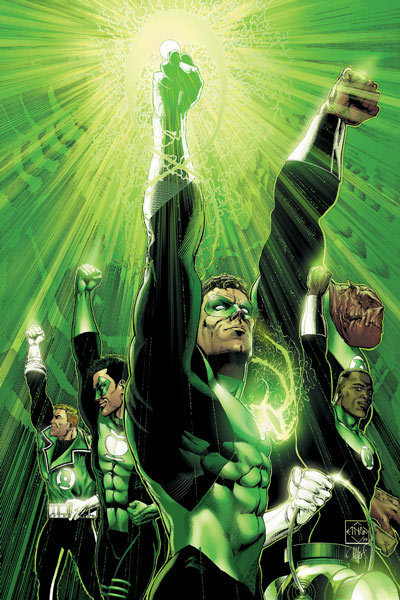 Most famous of the Green Lanterns are those who patrolled Earth, including Hal Jordan and Alan Scott. A Green Lantern is equipped with an item that is regarded as one of the most powerful weapons in the DC Universe, called a Green Power Ring. The Power Ring enables its bearer to manifest their thoughts into hard-light constructs and other various properties only limited by the ring's amount of power and the user's willpower and imagination. The Power Ring is based on advanced technology rather than having its power magically derived. Mainly, the ring is used for anti-gravity, to unleash torrents of energy, to translate alien dialects and to create hard-light constructs of any shape or complexity. Though, in the past, it has been unable to affect yellow-colored objects, this impurity has been overridden by Hal Jordan's power of will. The ring must be periodically charged by contact with a Power Battery (a.k.a. Lantern) which in turn draws energy from the Guardians Of The Universe' Central Power Battery on the planet Oa, the central headquarters of the Green Lantern Corps at the center of the universe. While the title of Green Lantern is bestowed upon anyone in the Green Lantern Corps there are several superheroes associated with the Earth in the DC Universe (and the sector designated as sector 2814). Alan Scott was the original Green Lantern, and unlike the others his title had nothing to do with the Corps. His powers are derived from a magical artifact called the Starheart rather than the advanced technology that makes up the Power Ring. Alan originally came from a parallel version of Earth known as Earth-2. The first Green Lantern of DC's mainstream continuity's Earth, Hal Jordan was given his power ring by the dying Lantern Abin Sur when his spaceship crashed on Earth. Hal Jordan would be the first human Green Lantern of sector 2814. His first appearance was in Showcase #22 in 1959. John Stewart was chosen to become the Green Lantern of Earth after Hal Jordan gave up his position and Guy Gardner was injured. When Abin Sur's spaceship crash-landed on Earth his Power-Ring logged Guy Gardner away as a "backup" Green Lantern of Earth. Guy became a full-fledged Green Lantern after John Stewart. Kyle Rayner was selected by Ganthet to be the Green Lantern of Earth after Hal Jordan was infected by the demon Parallax. For a short time he played the role of Ion, but has since then become a regular Green Lantern.